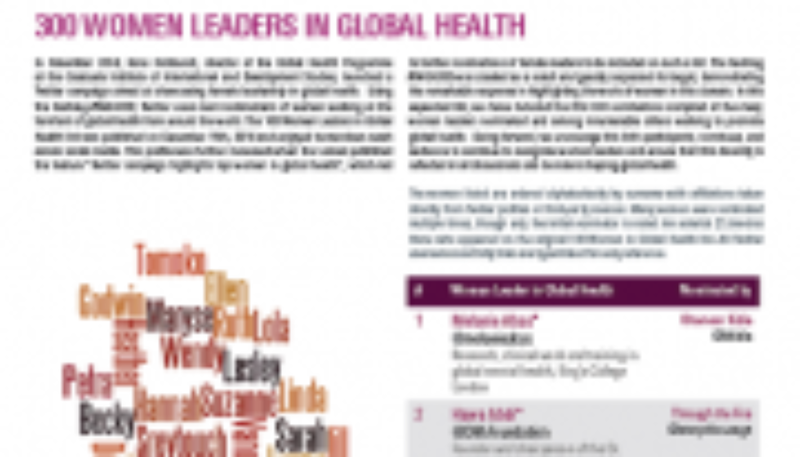 In November 2014, Ilona Kickbusch, director of the Global Health Programme at the Graduate Institute of International and Development Studies, launched a Twitter campaign aimed at showcasing female leadership in global health.This document includes the first 300 nominations compiled of the many women leaders nominated. We would like to recognize the women from RESYST, Future Health Systems, ReBUILD, and RinGs who have made this list. Let’s recognise women leaders and ensure that this diversity is reflected in all discussions and decisions shaping global health! To downloand and view the document click on the link below.